This is a cool natural raw gold nugget from Australia. It has a very unique shape. It looks like a cow sitting riding a wave runner?. How cool is that? It is very rare to see natural gold nuggets in distinct shapes like this. 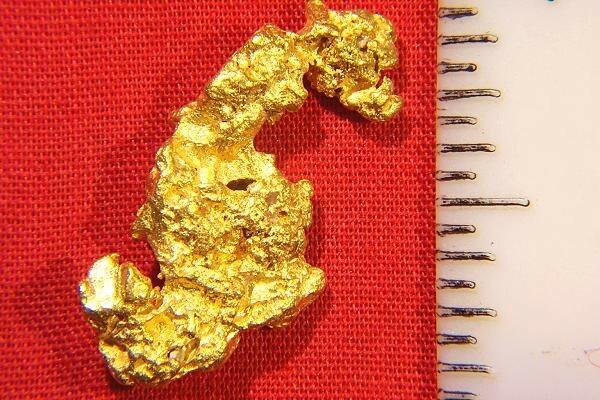 These nuggets are just as they were found by a gold prospector, and the shape has not been altered in any way. I certainly have the largest collection of special shaped natural raw gold nuggets for sale anywhere. 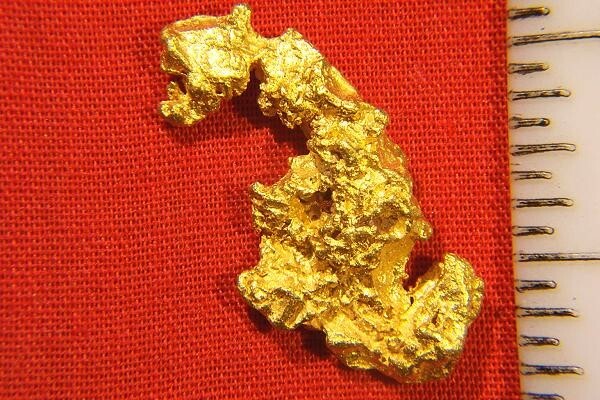 This incredible gold nugget specimen is a jewelry/investment grade nugget and it weighs in at 5.7 Grams (87.9 Grains). It measures 1" (26 mm) long. Like all our gold nuggets and specimens, it comes with a certificate of authenticity.